Dr. Marie-Camille Pitton is a Harvard-, Oxford- and Sorbonne-educated French arbitration counsel, who is registered as an attorney in New York and the Versailles Bar. Marie-Camille Pitton has over a decade of experience in international arbitration and litigation, having served clients from diverse jurisdictions. Until March 2017, Marie-Camille Pitton was a Counsel at the ICC Court of arbitration, where she supervised hundreds of arbitration proceedings, with a specific focus on cases related to France, Africa and the Middle East. In this capacity, she refined her expertise regarding ICC rules and practices, being confronted with every possible procedural difficulty and advising arbitration professionals (arbitrators, counsels and in-house counsels) from a myriad of jurisdictions. This experience also has given her a unique perspective on the specific issues arising in the context of arbitration proceedings involving parties from Western African countries, both during arbitration proceedings and at the enforcement stage of arbitral awards. Between 2008 and 2012, Marie-Camille Pitton was an associate in the international arbitration and litigation group of a leading American law firm. She previously worked at University Paris 1 as a teaching assistant, while completing her PhD in the field of private international law and sales law, which was published by Eleven publications in 2013. Marie-Camille Pitton has represented clients involved in arbitral proceedings under a variety of institutional rules (ICC, LCIA, ICSID) and also in ad hoc arbitration proceedings. 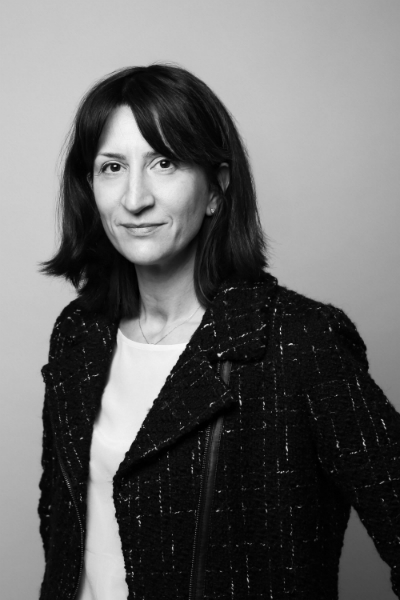 Thanks to her expertise in private international law, Marie-Camille has a very good track record in conducting international commercial litigation before French courts, as well as litigations in connection with arbitral proceedings. She also routinely advises clients on issues of French arbitration law, French commercial law and Private and Public international law. Marie-Camille Pitton is also engaged in the promotion of international arbitration as a tool for regional integration and economic development in West Africa (OHADA zone) and in the Caribbean (OHADAC zone), where she is currently overseeing the creation of a new arbitration center. In charge of ensuring the proper enforcement of the ICC Rules and, when applicable, French law of arbitration through the main steps of arbitral proceedings. Leading a 6-person team supervising in excess of 200 arbitral proceedings connected to France, Africa and the Middle East. Advising counsel and arbitrators at every step of arbitral proceedings. Participation in conferences; contribution to ICC research projects. French arbitration counsel representing clients (companies and governments) in high value commercial and investment treaty arbitrations under the auspices of various institutions (ICC, LCIA and ICSID) as well as in ad hoc arbitrations under the UNCITRAL rules focused, in particular, in the telecommunications, construction and engineering sectors. Leading teams at all stages of arbitral proceedings, including the drafting of submissions, document review, organization of filings and hearing preparation (cross-examination of witnesses and experts). Experience in advising companies and governments in public and private international law matters including the enforcement in France of US court decisions applying the RICO statute; compensation for expropriation in international law and compliance with conventions on corruption. Also served as counsel in domestic French court proceedings in disputes relating to, inter alia, financial transactions and supervising domestic court proceedings regarding the annulment of arbitral awards. ATER (teaching assistant) in Conflict of laws.